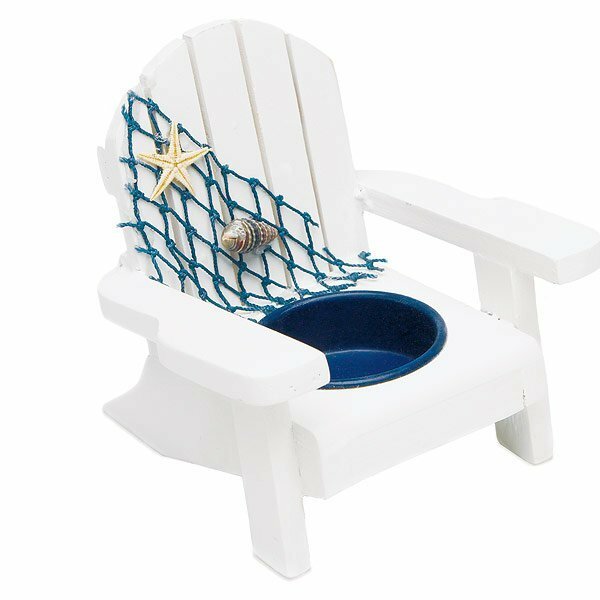 These cute little Adirondack style chairs have a dark blue netting, shell decoration and round candle holder within the chair seat. Fill with either tealight candles or candy to create a fun favor (not included). 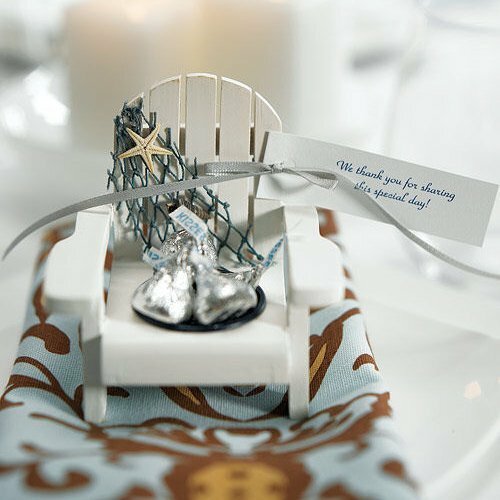 Make them extra special with beach themed hang tags or personalized ribbon. 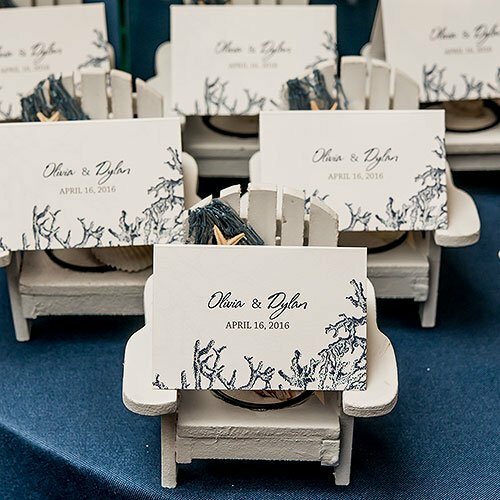 No matter how you choose to use them, guests will think they are simply adorable! Place card is not included. Sold in sets of 4. Product dimensions - 3 3/4" H.
How do these come packaged? 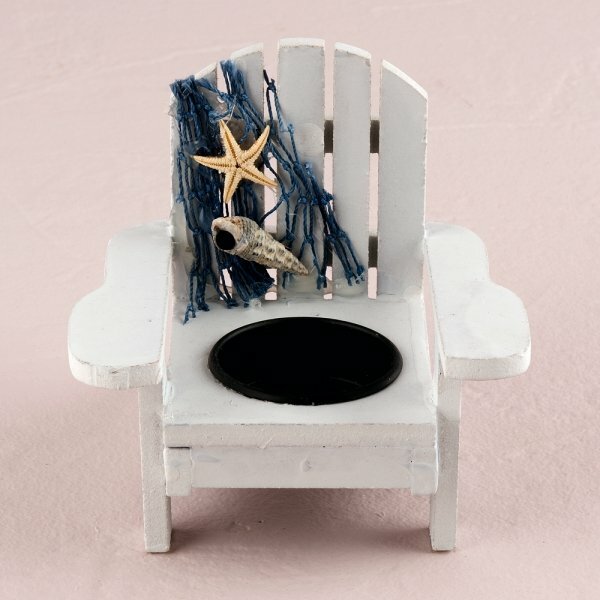 The Wooden Deck Chair Tealight Holders (Set of 4) are bulk packed. Your wooden deck chairs come in a package of 4, correct? 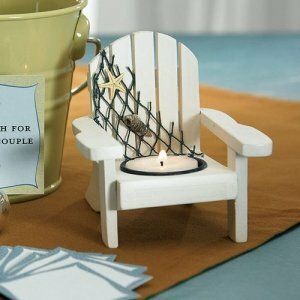 Yes, the Wooden Deck Chair Tealight Holders is sold in sets of 4. 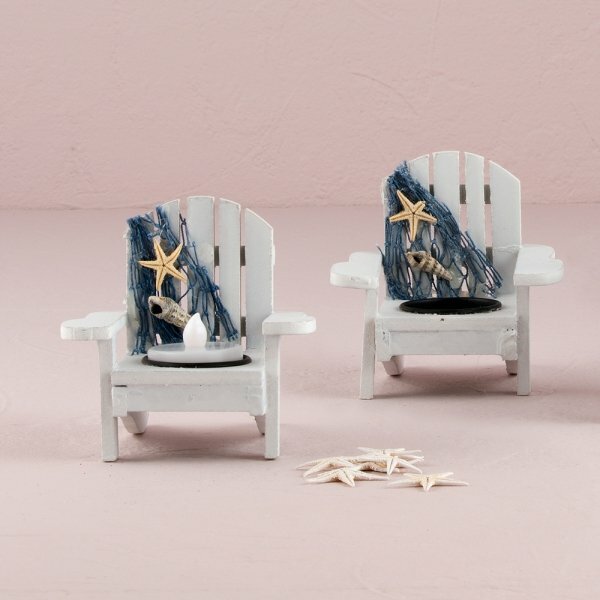 These cute little Adirondack style chairs have a dark blue netting, shell decoration and round candle holder within the chair seat. 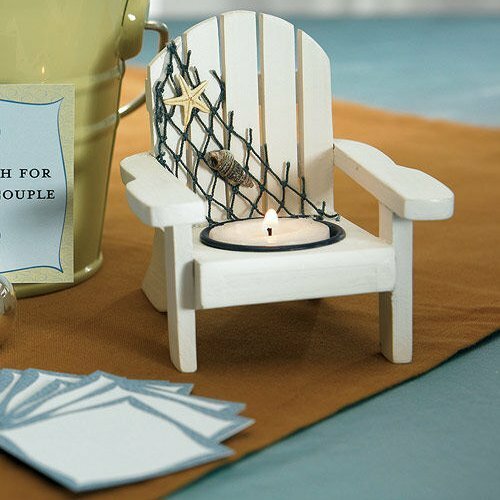 Fill with either tealight candles or candy to create a fun favor (not included).